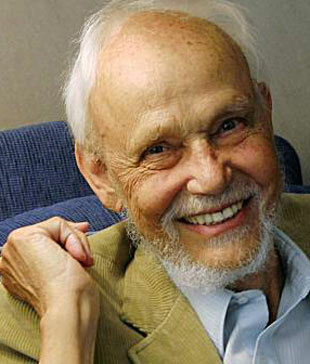 My teacher and friend, Huston Smith died on the day my wife and I were flying back from Dulles Airport, USA to Heathrow, England. Huston's books and TV appearances influenced millions. I was at his last class at U.C. Berkeley and joined 200 students in giving him a standing ovation. He adapted not just the texts but the rhythms of religions and while remaining a Methodist, could say, "I never met a religion I didn't like." I gave Huston's THE ILLUSTRATED WORLD RELIGIONS to William Swing, Episcopal Bishop of California. Swing phoned Huston and invited him to visit. In a few years Bishop Swing and his wife were mortgaging their house to help create United Religions Initiative (URI). Perhaps the World's most effective interfaith organization in reaching young people. I was honoured to host Huston and his wife Kendra on a number of occasions including a World Congress of Faiths programme at Fintry House in South England and an International Association for Religious Freedom Conference at Palm Springs, California. He also shared with us at a programme at Harris Manchester College. Huston taught us there are many ways to experience "the ONENESS OF THE HOLY."